I believe the studio should be a warm, inviting, nurturing and safe environment for every student. Focus is on fun, interesting and creative individual lesson planning based on each student’s learning style. Enjoy your time off with family and friends, March 11-15! ​Also no lessons Good Friday and Easter Monday and Victoria Day - April 19 and 22, May 20. Jeansolle enjoyed a creative summer project – she learned pieces from Karen Rowell’s Everything’s Ducky collection, wrote stories and drew some wonderful pictures to add to her stories. What fun to hear her musical stories! Check out these helpful charts on my resources page. 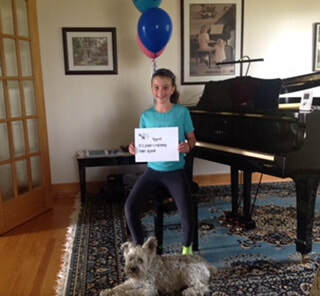 Congratulations to Adrina – recipient of a CNCM Silver Medal for obtaining the highest mark in Canada 2017-2018 on her piano exam. We are proud of you! 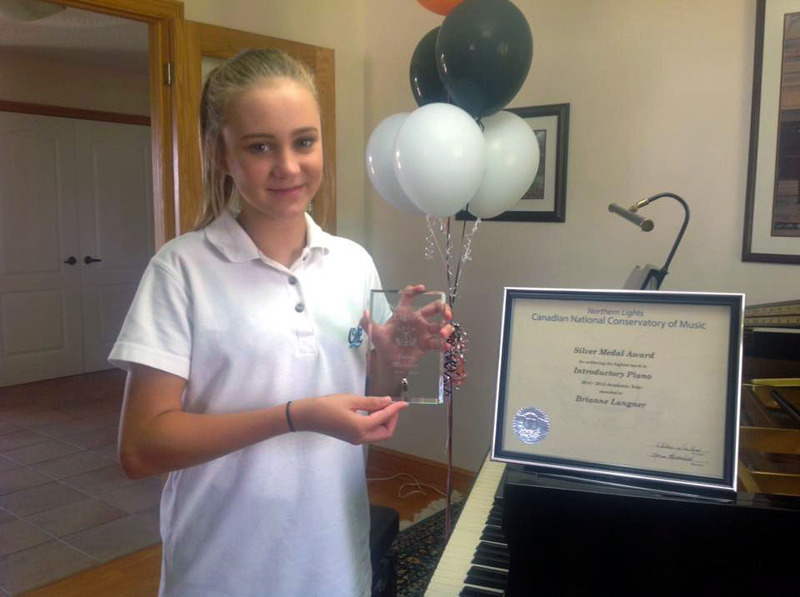 Congratulations to Brianne – recipient of a CNCM Silver Medal for obtaining the highest mark in Canada 2016-2017 on her piano exam. We are proud of you!